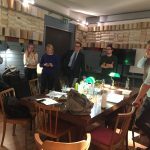 Key insights into our Roundtable events in 2018. 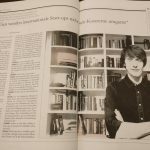 Our Managing Director Markus Raunig was interviewed in last month's issue of "profil". He talked about the Viennese startup scene and our upcoming projects. Read the English translation here. 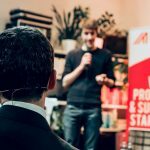 In this review, our managing director Markus Raunig reflects on the image of startups in the broad public and points out some apparent misunderstandings. 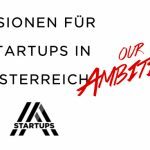 With our paper “Visions for Startups in Austria”, we are suggesting five main key aspects we see as necessary to turn Austria into an innovation-driven economy of the 21st century by leveraging todays main catalyst of innovation and growth: startups. Our ambition with this project is first to let politicians know what startups need. Second to raise awareness for startups in this country, in order to highlight the importance and emphasize on what lasting impact startups could have in Austria, provided with the best conditions needed for a vibrant ecosystem (venture capital, taxes, subsidies, social insurance, regulations, etc).